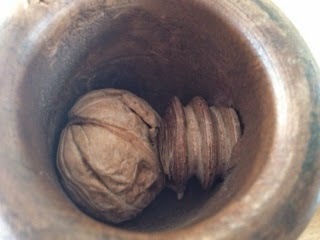 Pictures of Kashmiri Walnut Cracker! 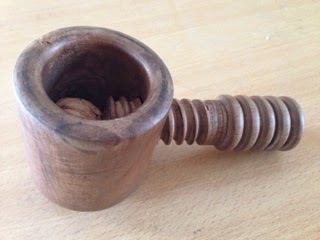 This unusual but simple apparatus breaks open whole walnut. Good thing is that it can be used to press hard lining of walnut. By any other method, after area of walnut breaks open which is not desirable as it crushes the kernel inside. Unlike attempting from teeth, this walnut cracker does a more thorough job.